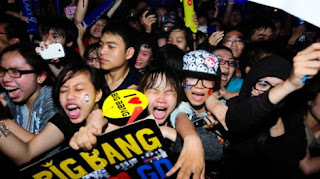 Why do a large number of Vietnamese teen fans dream about meeting South Korean showbiz stars, listen to their songs all the time, hang their pictures on their walls, follow their stories and news, and attend their concerts no matter how much it costs? After several teen fangirls of South Korea’s Bing Bang boy group fainted during the 9-hour long Soundfest concert held at Phu Tho stadium on April 14, Tuoi Tre held a roundtable discussion on fan culture among local youths. The discussion began with an idea from graduate student Pham Nguyen Bao Tram, who has received ironic comments after spending a large sum of money to buy a VIP ticket for the Soundfest concert. 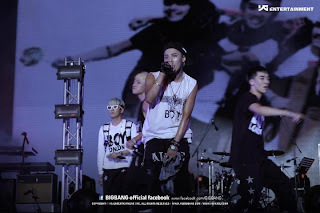 “They do not really understand either the psychology of young people or the considerable efforts that South Korean music groups have made to gain success in their showbiz industry,” Tram said after listing several reasons for why she has fallen in love with Big Bang. 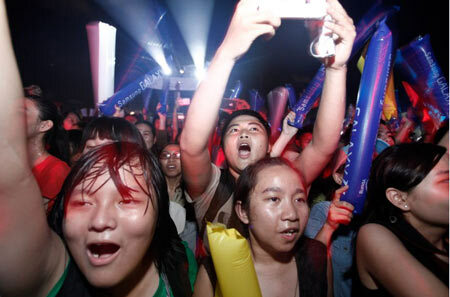 In agreeing with Tram, Ngo Thi Thuy Van, claimed that she adores South Korean artists for their true talent. “Their [South Korean singers] music touches the audience’s hearts in a way that we hardly find in local showbiz,” Van explained. 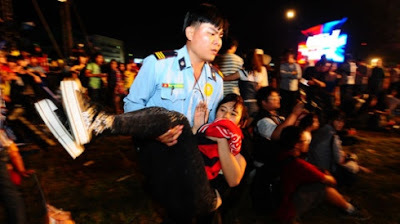 Meanwhile Tran Truong Tri, of Nguyen An Ninh high school in HCMC, said he loves Suju, a South Korean boyband, because they often bow to greet their fans at a 90-degree angle before and after their performances, something that just a few Vietnamese artists do. 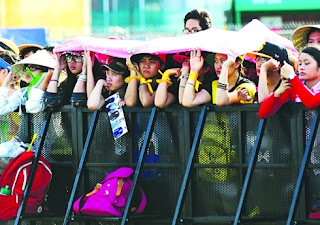 Most young women in the discussion said they prefer South Korean artists to ‘their colleagues’ in Vietnam because South Koreans rarely cause scandals to grab public attention in order to gain fame as some Vietnamese artists have done. After being a fan of Suju for three years, Thuy Van knows how to balance her study time and the time she spends with her idols. Although Van regularly attends fanclubs and updates stories and news about her idols, she still gets good academic results at school and has gained much confidence from her parents. “If you overindulge in showing passions for your idols and neglect other things, no parents feel satisfied,” Van said. Tri also gives the highest priority in his life to studying at school. He does not spend as much time following Suju as other fans do. 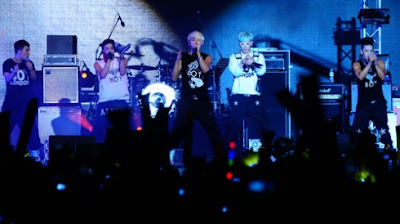 At the Soundfest concert on April 14, Tram also went crazy as soon as she saw the five members of Big Bang. 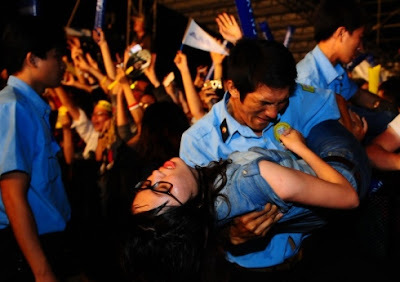 But she had trouble breathing after jostling with other fans to view their idols in person. 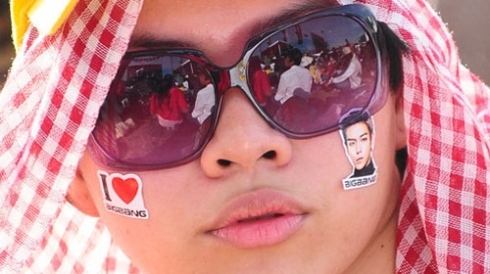 According to Hong, fan clubs or Internet forums are good places for fans to discuss an ‘appropriate fan culture”. “You should be in full possession of your common sense when you idolize someone. You could either learn from them or leave them behind if you find them inappropriate in your life,” Hong said.